Well, birthday season in our house has come and gone for another year and although it all happened a few months ago I am only just getting around to blogging about the celebrations. 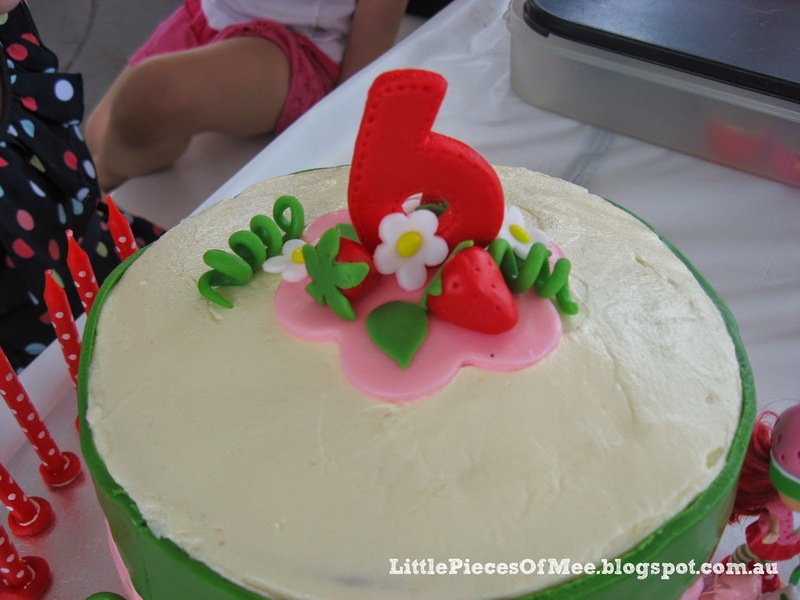 I will start with the first birthday, my eldest daughter's 6th birthday back in March. There are more birthdays in March in my family than I can count on one hand and in the space of under 3 months we celebrate the birthdays of all three of my children. So its a very busy time in our house. 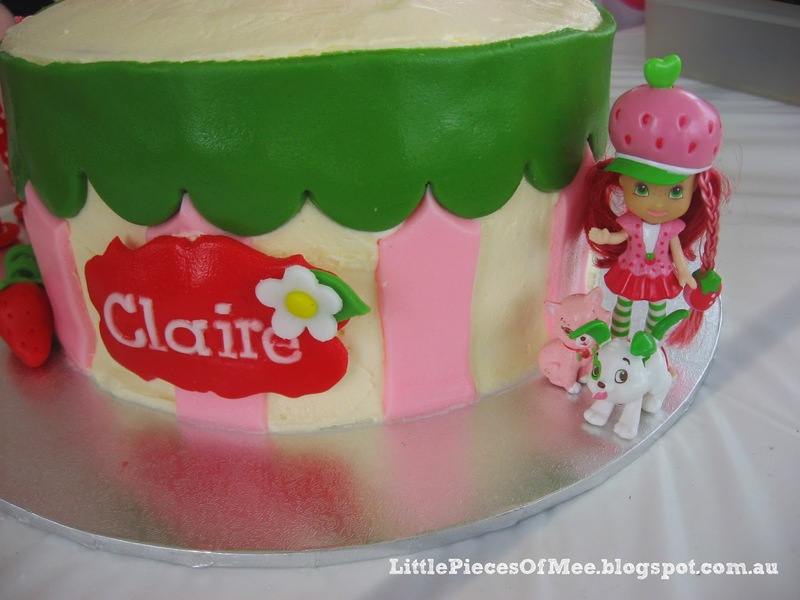 This year my eldest daughter decided on a Strawberry Shortcake theme for her birthday. It's not one of her favourite characters but one she enjoys occasionally. 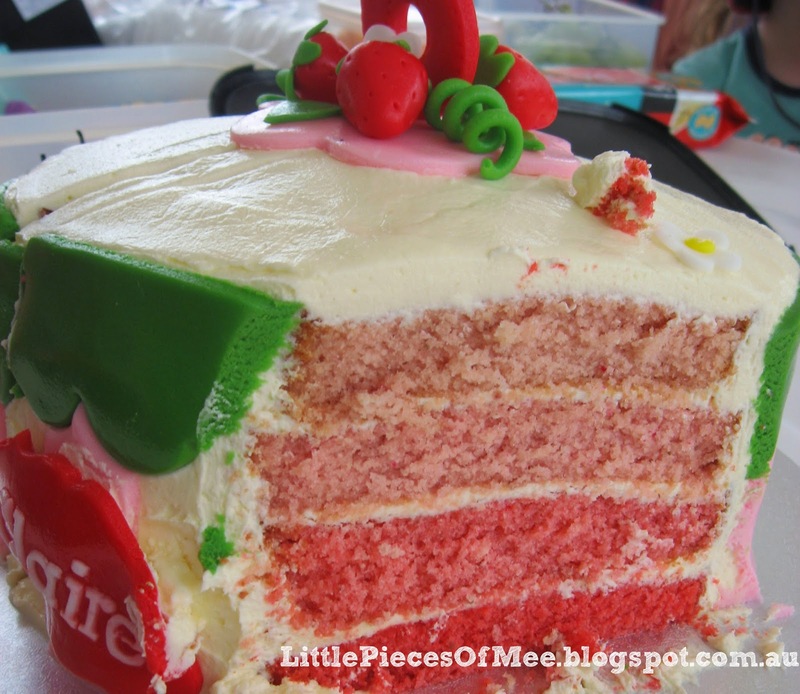 I was happy to embrace it as I already had lots of ideas for cakes, food and decorations from my web browsing last year (before she decided on a Little Mermaid theme for her 5th birthday). 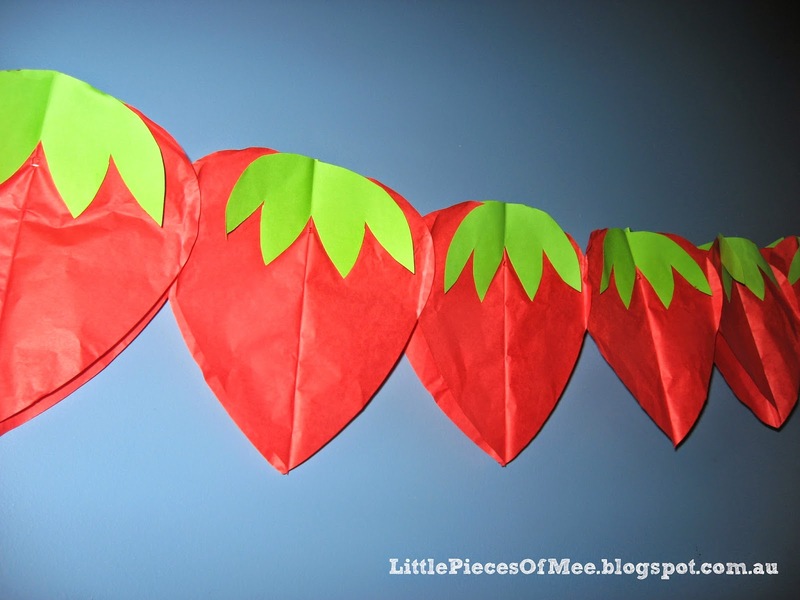 For the invitations, I found a lovely strawberry-theme template online and customised it for our party. It was predominantly red with white dots, which worked well for a party where we invited both girls and boys from school, but was still girly enough for my daughter's liking. 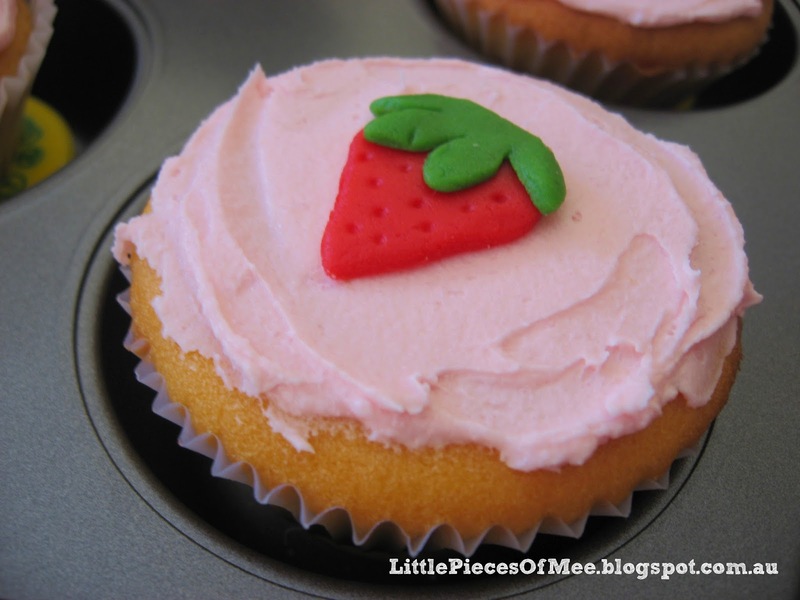 For the cake, I wanted to make a strawberry flavoured cake, so I hunted for recipes online. I tested out a few different types in the month leading up to the party, until I found the perfect one. The first one that I made used strawberry puree and it was nice enough but lacked a bit of punch in terms of flavour and colour. The next one I tried was amazing - it used both strawberry puree and strawberry flavoured jelly crystals, giving it a good strawberry flavour and colour. Plus it was moist and fluffy, not heavy or dense, and very easy to make. My daughter helped to choose the decorations for the cake - we found two different cakes that she liked (this one was the main inspiration but this one helped too) and then I used elements of each one to give the end result. Unfortunately being March in Brisbane, the weather was very humid on the night before the party when I was trying to assemble the cake. The fondant strips kept stretching out of shape and overall while I was happy with how it looked, it didn't look as professional as I was hoping it would be. But my little girl loved it, and that's the main reason why I spend my time creating something special. I'm not a big fan of covering cakes completely in fondant (as I don't like eating it), so I used vanilla buttercream icing to cover the cake and added the fondant decorations. The lettering for the name was made using the FMM Tappits cutters with white fondant. I cut the red plaque freehand using a template I printed off my computer, and the green scallop border and the scallops on the top of the pink strips were both cut with the FMM Straight Frill cutter. The flowers and leaves were cut using some small metal flower and leaf cutters (with a hand rolled ball for the yellow centre), and the large pink flower on top of the cake was cut with a large plastic cutter I got from a discount shop. I cut the number 6 with a large metal cutter and then used the point of a toothpick to make the stitching effect around the edge. The green tendrils were rolled out using a fondant smoother and then curled around a pencil while they dried. 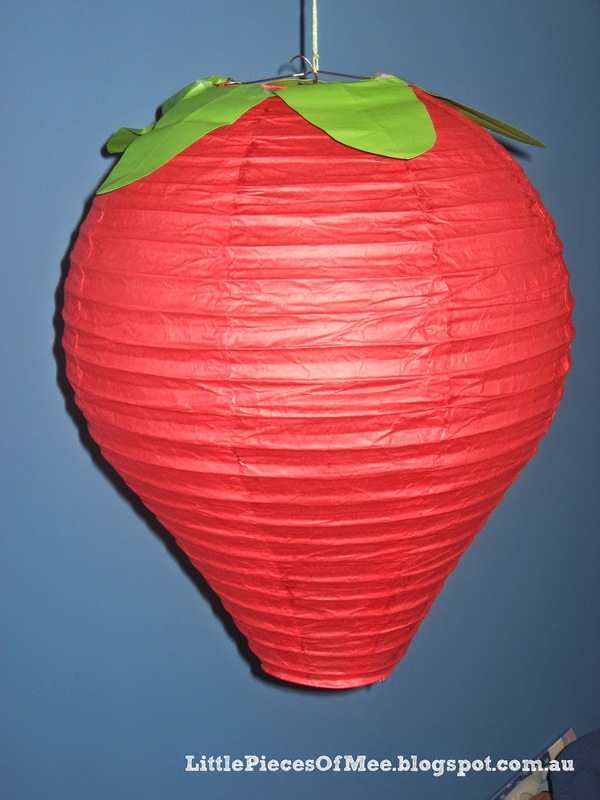 The strawberries were made by hand using a toothpick to make the seed marks, and a flower cutter was used to make the green leaves at the top of the strawberry. The Strawberry Shortcake figurine was one that we've had at home for a while, and the Pupcake and Custard Cat figurines came from a Strawberry Shortcake book that I found at Big W about a week or so before the party. 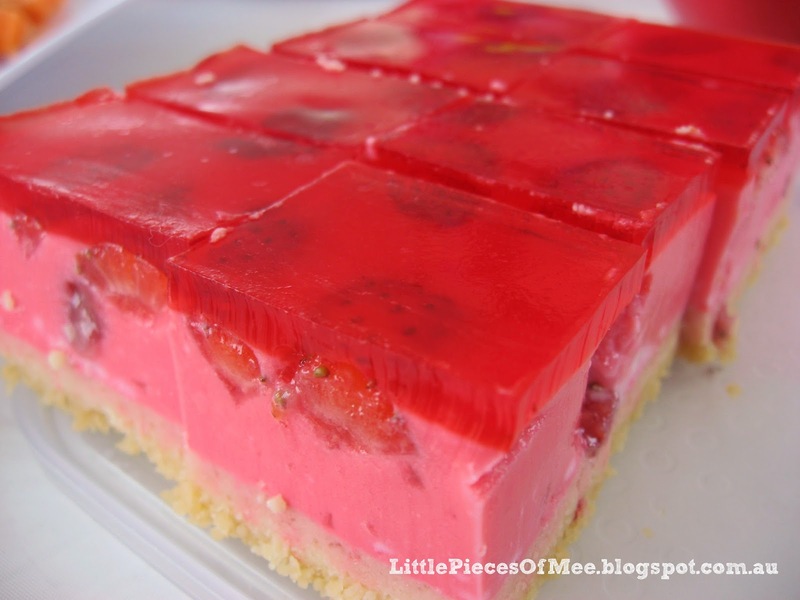 I continued the strawberry theme through some of the other party food too - I made a yummy Strawberry Jelly Slice (recipe here) which turned out much better than I expected - the recipe uses low-joule jelly for both the yogurt-based filling and the jelly layer on top. I haven't used low-joule jelly before but I thought I would follow the recipe and see how it turned out, and it was a brilliant result. I think the low-joule jelly gives the slice a firmer result (even when left out of the fridge during the party) than normal jelly which I think would melt a bit more when left out of the fridge. I also made some chocolate strawberry pots using chocolate instant pudding for the choc layer, topped with fresh strawberries and mini meringues on top. 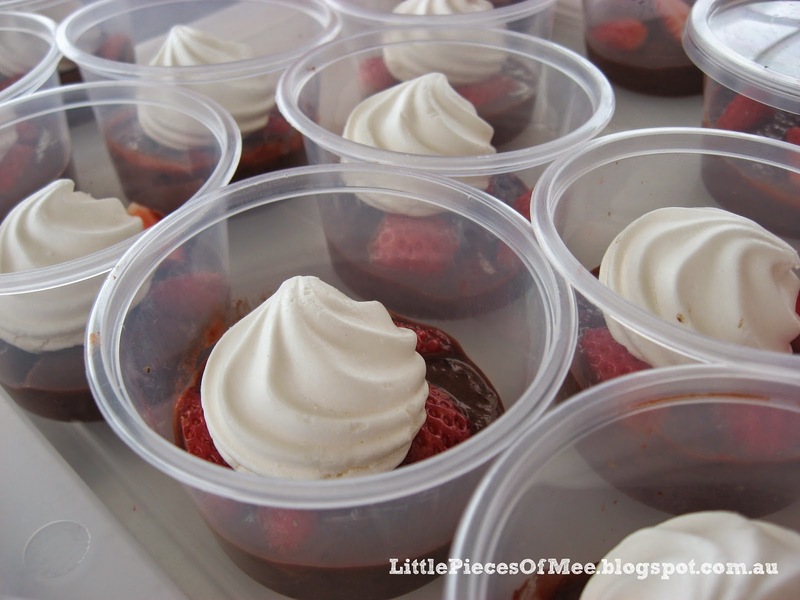 I actually wanted to use a paleo chocolate mousse (the same as I used in my Healthy Chocolate Tarts) for these little choc pots but I put too much cacao in the mixture and when she tasted it on the morning of the party, my daughter screwed up her face and said "Mummy, I do not want you to bring that to my party." I kinda agreed with her on the strong taste and remembered I had a packet of instant pudding in the cupboard so I pulled that out for a last-minute rescue.